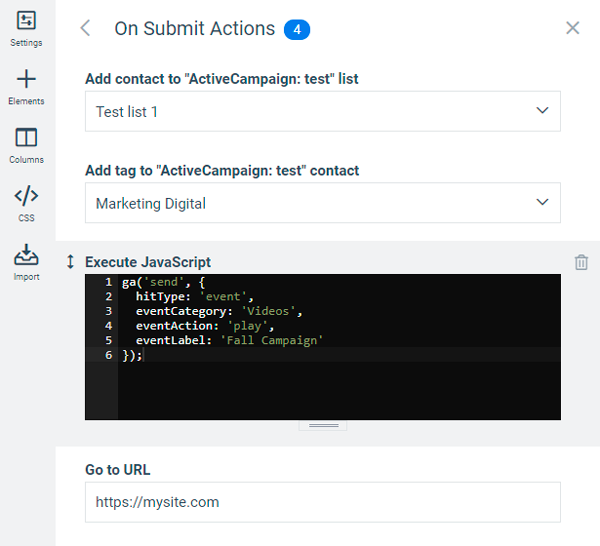 All actions that your widget should perform (including submit actions, integration-related actions, redirects, changing screens, custom JS and others) you can specify by simply editing a relevant button. To learn more – see the relevant knowledge base article. 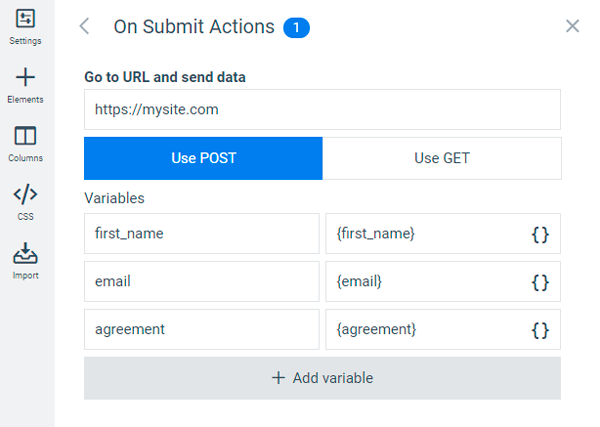 Integrations, that were previously connected to your account, are now bound to relevant sites instead. Each site is a separate project and now only displays integrations related to it (i.e. were used in it). 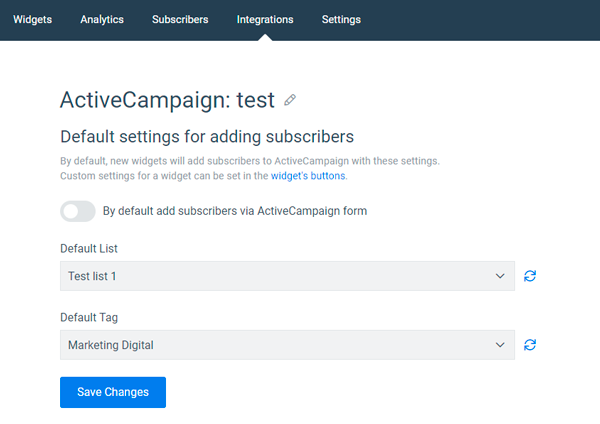 When editing your integration settings, you can now specify a default scenario: default list, tags, form to add subscribers to. And you can use these default settings in your button with a single action: ‘Add subscriber with default settings’. 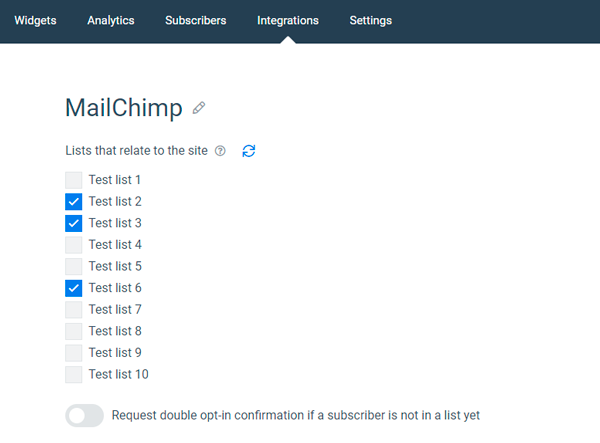 When editing MailChimp integration, you can choose lists, that related to this project/site. Thus only relevant lists will be available for the actions you create for this site’s widgets. 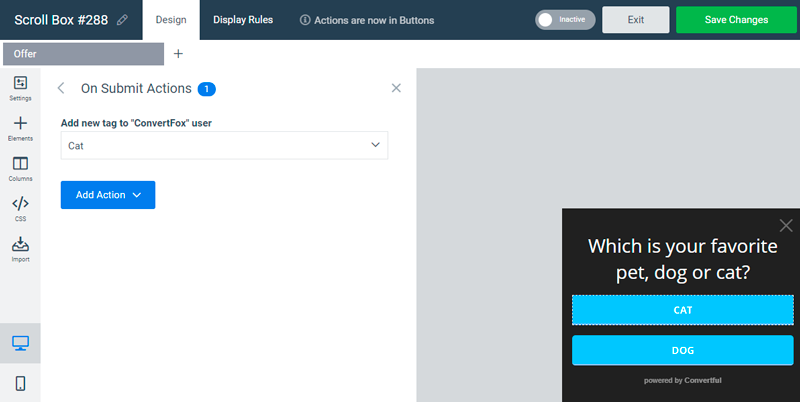 While editing your buttons you can now create and combine multiple types of action, using both integration-related ones and actions provided by Convertful functionality. Actions will be performed in a sequence you added them. Note that you can press the double square bracket icon and choose dynamic data to send as the variable value or type in the static value manually. Once a visitor subscribed to any of your widgets, the email he provided is stored in his browser session. Thus you may use other widgets to send extra data (tags, custom fields) to this subscriber without asking him to fill in the form again. 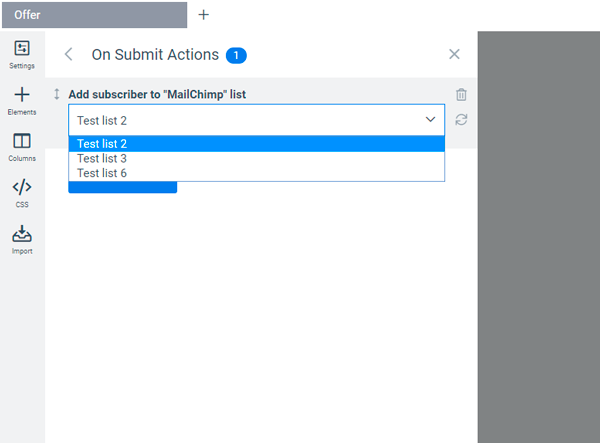 You can simply add a relevant tag-adding action to a CTA or a quiz-like widget and it will use the email that was already provided to identify and update subsribers data in the list. All the widgets you previously created and integrations you used were automatically transferred to a new information format and settings. You don’t need to adjust anything – widgets should work as they were. We did our best to make this transition as smooth as possible, however, if you’ll face any issues with your widgets – please create a support ticket, we’ll gladly help you.